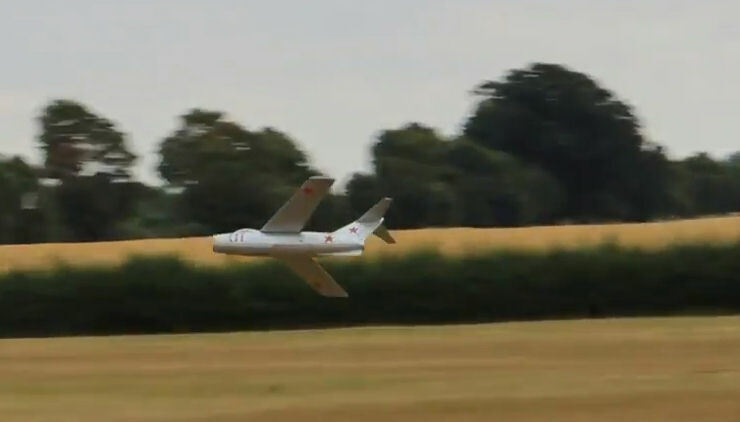 Roger, I think Derek Knight's model is a Lavochkin La 15 not a Mig 15, note the high wing. 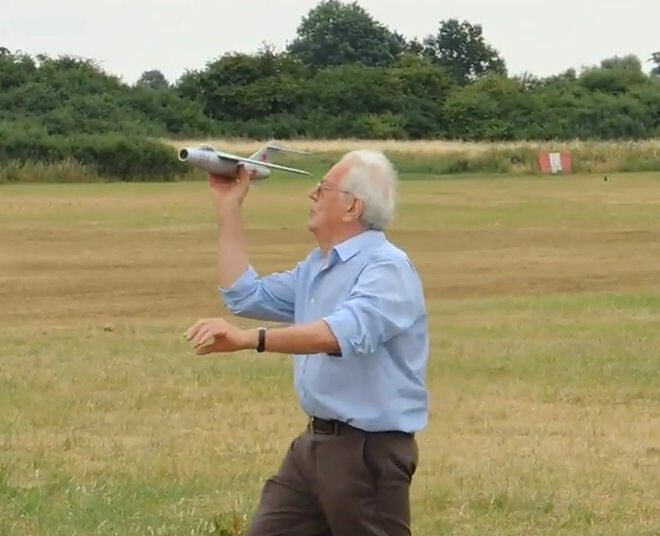 It was indeed a splendid flight though, well done Derek. Roger comments: ading these stills from the video confirtms Howard's observation. This is an OD (not converted Jetex 50 design) LA 15 with an internal EDF. Does anyone know what it is? Hi Roger and all the other guys flying rapier and jetex. I just signed up the forum and want to say what an inspiration you all are, and seeing my jetex Skyray flying along with all the others is great. I am determined to strive for better flights in 2019, I have many models on the go and enough, jetex 50 motors, fuel and fuse, to compete with all those rapiers ! Thanks for all your help, especially Roger, and I look forward to seeing you all in 2019.